5/5 rating based on 293 reviews. Read all reviews for Calendars 5 by Readdle for iPhone. 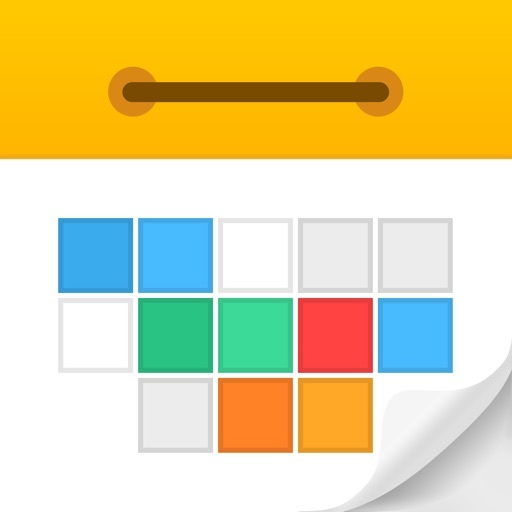 Calendars 5 by Readdle is paid iOS app published by Readdle Inc. The app was a great simple, functional, easy to understand and use calendar and todo app. Then ALL of my repeat TO DO’s were completed and not re scheduled for another event. Tech support was no help with this problem. This is REALLY IMPORTANT as there were reminders of significant thing that need to be done that just “went away”. I cannot rely on a product that may or may not have the reminders working or not. It excellent calendar app for me! May not be for everyone, depending on their needs. Syncs with Google calendar. The app has everything, but the widget is awful. Does not display all-day events. Needs ability to display week/month ahead as a calendar. Also could use a separate reminder widget with quick-add functionality. The location information by Foursquare is terrible. I type in popular locations, and they always come up empty. I have to manually enter in the street address all the time. What is wrong with the Foursquare database? I've used this app for several years and am generally happy, but why have they stuck with the Foursquare database? Whenever I try to make an appointment and go to select the meeting location, there is a 93% chance the app can't find it. I feel like I emailed the developers about this years ago and they said they were changing it, but they have not. I'd like to find something better. This is so annoying. Great app but needs date on app icon! Very intuitive and clean! Wondering if developers can add the date to the app icon? That'd be fantastic and tie everything together. Much better than what came with the iPhone. I like that it syncs to everything and the voice feature is decent. This calendar app is the most functional and intuitive calendar app that I have researched are used. A couple iterations ago the app was down for half a day while being upgraded. I nearly lost my marbles as it helps enormously with tracking my own in my children’s busy lives. It’s well synced with online counterpart. I highly recommend. Wasn't really sure about it at first. But I love it! I love being able to color code. I love being able to add notes and addresses. And its easy!